The Co-operators Group Ltd. has expanded its storm surge insurance coverage in Atlantic Canada after several high-profile weather events in the region. The insurer is making the coverage available for the first time to homeowners in New Brunswick, Newfoundland and Labrador and Prince Edward Island. The company said Monday that the comprehensive water insurance provides coverage for storm surges, overflowing lakes, rivers and creeks and sewer or septic backup. "Overland flooding has been identified as the most pervasive and costliest cause of damage to Canadian homes, yet most are inadequately protected against this growing risk," said Co-operators CEO Rob Wesseling in a statement. 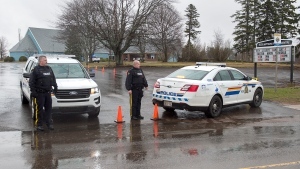 The Co-operator's coverage was recently released in Nova Scotia. 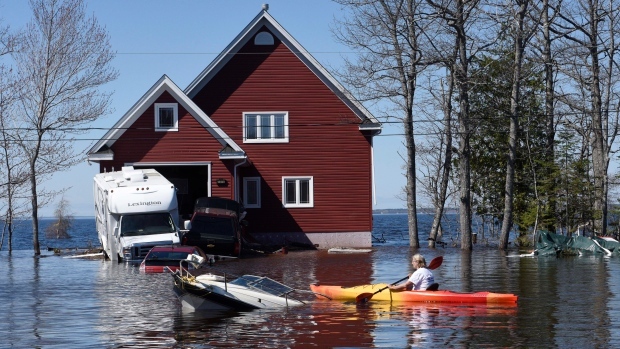 Atlantic Canada was hit by major flooding this past April and May that saw water levels reach and sometimes exceed levels last seen in the 2008 flood. Insurer Aviva introduced its overland water protection flood insurance across Canada in 2015 in recognition of changing weather patterns. Many insurance companies started flood insurance programs after the Alberta flood of 2013 caused more than $4 billion in uninsured losses. About three-quarters of Canada's major insurance companies now offer overland flood coverage, according to the Insurance Bureau of Canada. The Co-operators first offered overland flood insurance in Alberta in 2015 and expanded the coverage to Ontario in 2016.